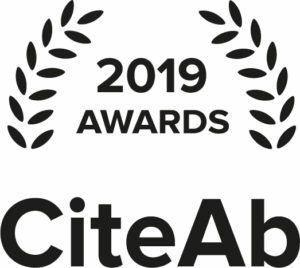 We’ve launched the 2019 CiteAb Awards! Our team here at CiteAb is excited to be starting work on the 2019 awards, which we’ve launched today with a number of new categories. I’ve just caught up with Alicia Cooper who is overseeing the awards process for us this year. Alicia, what’s new for 2019? Well as usual we’ve removed a few old awards, and added a few new ones. The reason we do this is to reflect areas where we have new insight based on CiteAb’s data, so this year you’ll see categories that cover ELISA kits, biochemicals and instruments – all new areas in which we now collect data. We want all companies supplying researchers in the life science sector to be able to get involved in the awards, and we want to recognise not only those which are already doing really well but also the smaller suppliers which might be the leaders of tomorrow. For that reason, we are keeping the awards free to enter, and we have also introduced a number of ‘supplier to watch’ awards across different parts of the life science sector. These shine the light on smaller companies with fewer citations, which are showing the biggest growth and the most promise. So what are the categories this year? We have fifteen categories this year, four of which are open to nomination and the rest will be awarded based on CiteAb citation data. Within the nomination categories we have ‘Innovative product of the year’ and ‘Antibody validation initiative’, both of which are open to self or third party nomination. We also have our flagship award returning – ‘Researchers’ choice’, the award that is made based on votes from the researchers that use the products companies supply. Our ‘Lifetime achievement’ award also returns, and we’re excited to see the nominations that are made into this category. You can see all of the categories on our awards website now, and read about how the winners will be decided by our panel of judges. What is the closing date for the awards? A slight change this year, we’ve pushed the closing date for the awards back a bit following feedback last year that the Christmas break made it difficult for some suppliers to get their nominations in on time. The awards will close at midnight (GMT) on Friday 8th February, and winners will be announced on Monday 18th February. All winners will get a CiteAb Awards 2019 certificate and CiteAb Awards 2019 badges to use on their website. In each category (except Lifetime achievement) there will also be a ‘Highly commended’ company. To see the full list of categories for the 2019 awards, and enter the nomination categories, see https://www.citeab.com/awards.